Sauce, Italian, Pear, Processing, and Plum are all various names these tomato seeds fall under. 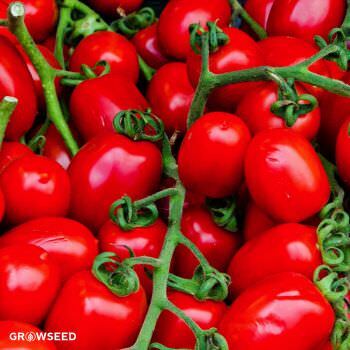 Our sauce tomato seeds have been selected because they produce the largest crop, best-tasting tomato and perform consistently year after year. We grow well over 200 sauce tomato plants every year just for our family producing tomato sauce for pizza bases, paste and sauces not to mention a supply of canned tomatoes for various cooking dishes. Sauce tomatoes are typically meatier and less juicy than other types of tomatoes which makes them ideal for dehydrating, can storage, sauces, and salsas. 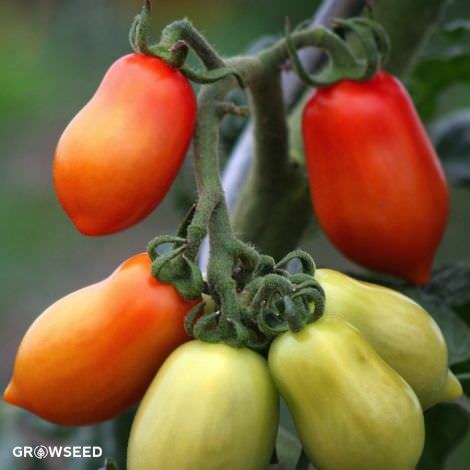 Here at Growseed we grow San Marzano to make tomato paste for pizza bases and canned tomato sauce to use in Italian dishes such as lasagna and Roma is harvested and process to make our own ketchup and tomato puree.